Former British GT champion Jon Barnes found his winning mojo again yesterday as he and his co driver Mark Farmer dominated round six of the British GT Championship at the Spa Francorchamps circuit in Belgium with their TF Sport prepared Aston Martin Racing V12 Vantage GT3. 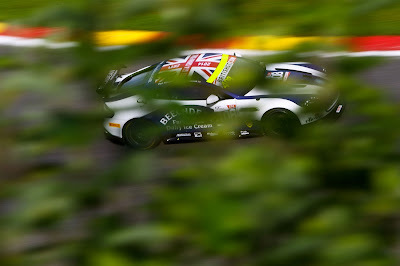 Having had the benefit of a couple of days testing at the circuit earlier this week (under the guise of the Spa24H Official Test) the duo were able to get the car fully dialled into the circuit giving the Am driver (Farmer) the confidence to push straight from the off from where the #11 lead the majority of the race before ultimately taking the chequered flag by just over half a second to the chasing Team Parker Racing Bentley. It was only for a handful of laps either side of the compulsory pit stop at around the half way mark that the #11 car did not lead the race. Whilst TF Sport were having a mixed 'day at the office' with having to rebuild its sister #17 car following a significant accident during FP1and then winning the event with their other car it was unfortunately all downhill for the Beechdean team and their three entries. 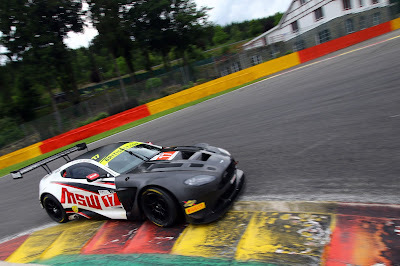 Despite qualifying sixth Andrew Howard's Vantage GT3 would not make it any further around the circuit than T3 after having to take avoiding action for the "stupidity of others" in front of him, for when he tried to return to the track his car was in collision with a European GT4 BMW that ripped a wheel of each car putting them both into immediate retirement. With last years GT4 Champion Jamie Chadwick also returning to the series with celebrity chef Paul Hollywood in the #408 V8 Vantage GT4 their race would only last for seven laps before Hollywood pitted with obvious damage sustained by contact with a tyre wall that had also damaged the front off side quarter of the car. In the sister #407 GT4 car Jack Bartholomew would suffer multiple incidences of third party contact during the very busy first half of the race so with that and their success ballast incurred from their podium finish last time out at Silverstone they would also endure a very difficult race finishing down in P8 in class. The #71 Stratton Motorsport car of David Tinns and Andrew Jarman also had difficulty on lap 7 where they also incurred barrier impact damage whilst Tinns was at the wheel but at least they were able to continue after some repairs and allow the series returning car to continue although many laps down. It is not known if any of these incidents were connected. 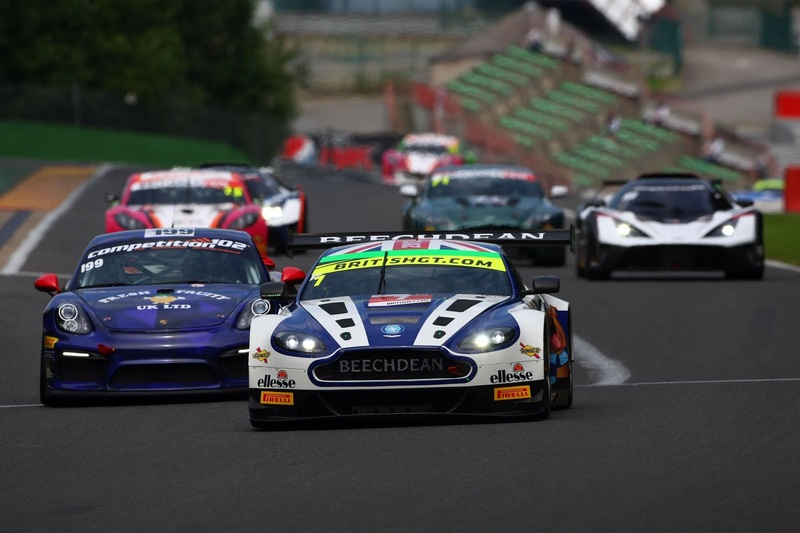 The JWB and Generation AMR SuperRacing Aston's cars both unfortunately had races to forget, never being able to break free from the lower regions of the European GT4 Series cars that made track navigation very difficult for many. SuperRacings James Holder would have been there in his first competitive meeting (although having tested at the circuit previously) and his inexperience was obvious. The same could be said for the #47 JWB car as they would also become one of the many who would fall foul of track limits and would incur time and track penalties as a result. The best result from a British GT4 entry came from the #42 MacMillan Racing entry of Matty Graham and Jack Mitchell who would ultimately finish P3 having endured a thoroughly eventful race. 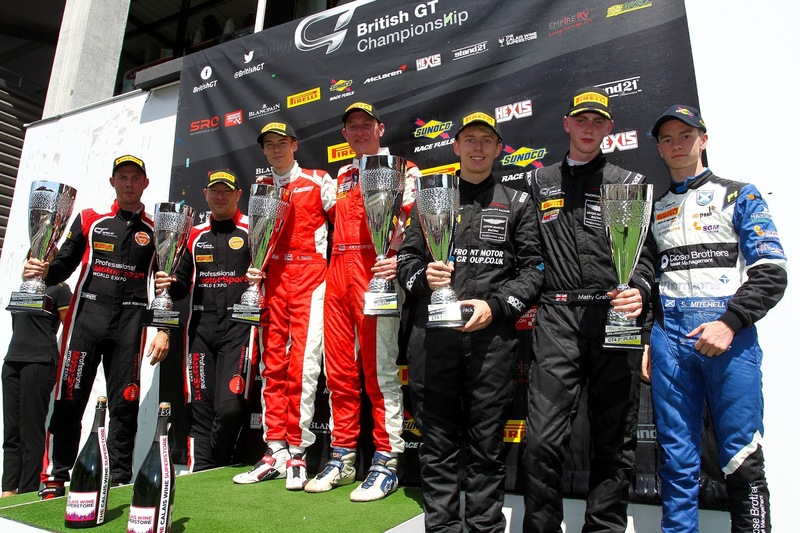 The series will now move on to its penultimate round of the 2016 season at Snetterton in four weeks time. 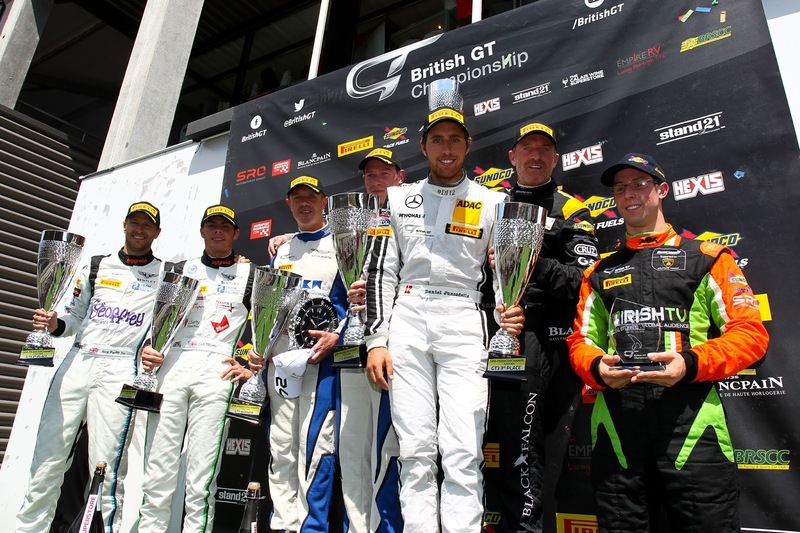 TF Sports Johnston and Adam still retain an overall championship lead despite their accident affected race yesterday with yesterdays result lifting Barnes/Farmer up to fifth in the drivers championship. 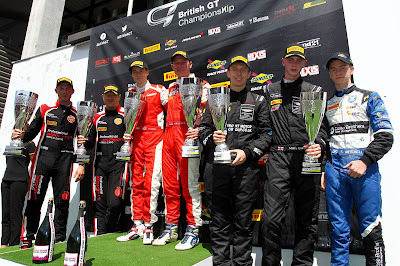 In the GT4 class its very much a catch-up required in the team/driver championship with Beechdean's Jordan Albert and Jack Bartholomew the closest to challenge the leaders although both do lead the GT4 Silver Drivers table.